After several years of convenient partnership that linked Chrome and Safari together, Google and Apple have finally parted ways. 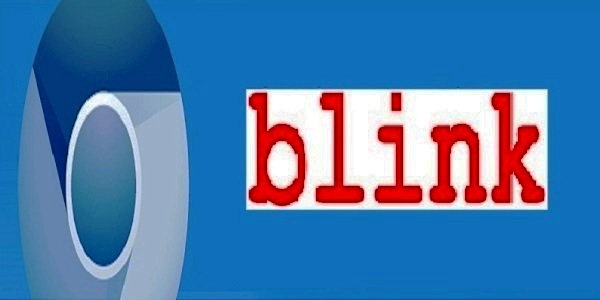 In an announcement, Google stated that it is creating ‘Blink”, its very own web rendering engine separate from that of Apple. Prior to this announcement, it was Apple-initiated WebKit project that Google has used to power its browser. From now on, however, Google will depend mainly on the new system that it has developed. This new system will gradually shoot off into a totally new project after initially using the same coding that all WebKit-based browsers use. Google claims that this step will liberate both Chrome and Safari. In its Chromium Projects page, Google states that Blink’s mission is to “improve the open web through technical innovation and good citizenship.” The main reason for developing a new browser engine, according to Google, is the different multi-process architecture that Chromium use in comparison with other WebKit-based browsers. Google further claims that because of these different multi-process architectures, the level of complexities sustained has increased both for WebKit and Chromium communities, which it sees as a factor that slows down rather than speeds up the process of collective innovation. Google’s move puts an end to years of direct programming cooperation with Apple. As an open source project, anyone can make use of and modify WebKit. Both Google and Apple contributed to the same code base, but with the Blink project, the two rivals will now go on separate ways, creating new and separate web standards rather that making use of each other’s work. There is agreement among observers that Google’s move will actually be beneficial for the web as a whole. Stakeholders in the web have somewhat felt that WebKit have dominated the web, in the process stripping browsers of much valued independence. Opera, for instance, have had to junk its own Presto engine in favor of WebKit, as a result of many web developers creating and programming sites to work only with WebKit. In its “The Chromium Projects FAQ page, Google notes that while monocultures (apparently referring to WebKit as a currently dominant rendering engine) increases developer productivity level from a short term perspective, it inevitably leads to stagnation in the long term perspective. More options in rendering engines, it says, will result in diversity and a healthier web ecosystem. It also notes that apart from bringing diversity, a new browser engine brings with it the beneficial effects of ensuring that multiple interoperable implementations of accepted standards exists, with each engine approaching the same problem from different points of view; therefore making developers confident in the performance and security of the end results. It also reduces the possibility of one single standards being the dominant or de facto standards, which is beneficial for the whole open web.